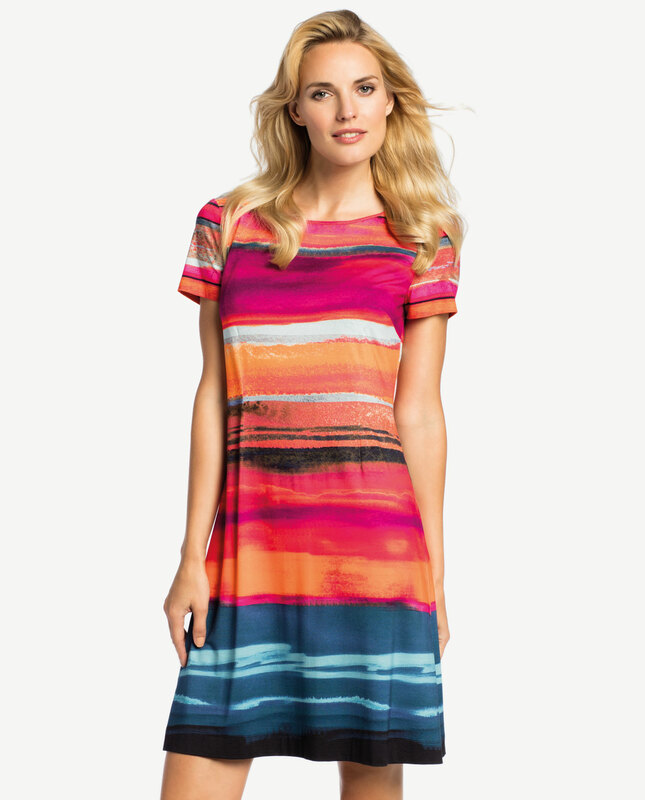 Girly flounced dress in soft viscose fabric containing some elastane which feels pleasant to the touch. This style is relaxed and airy, a cut-out at the hipline creates a flounce which accentuates your legs and introduce a romantic touch into the whole look. 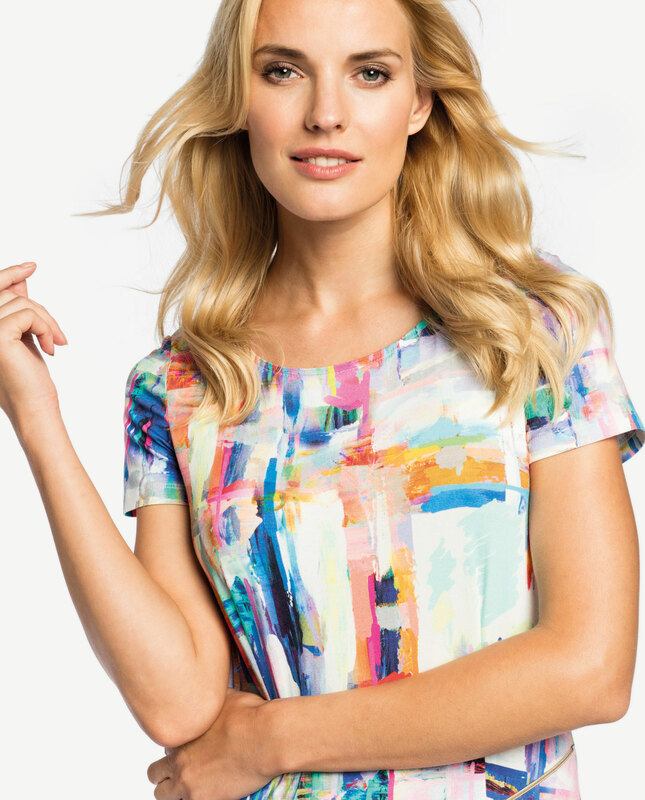 A very trendy abstract print in lively colours will perfectly match this typically summer style. 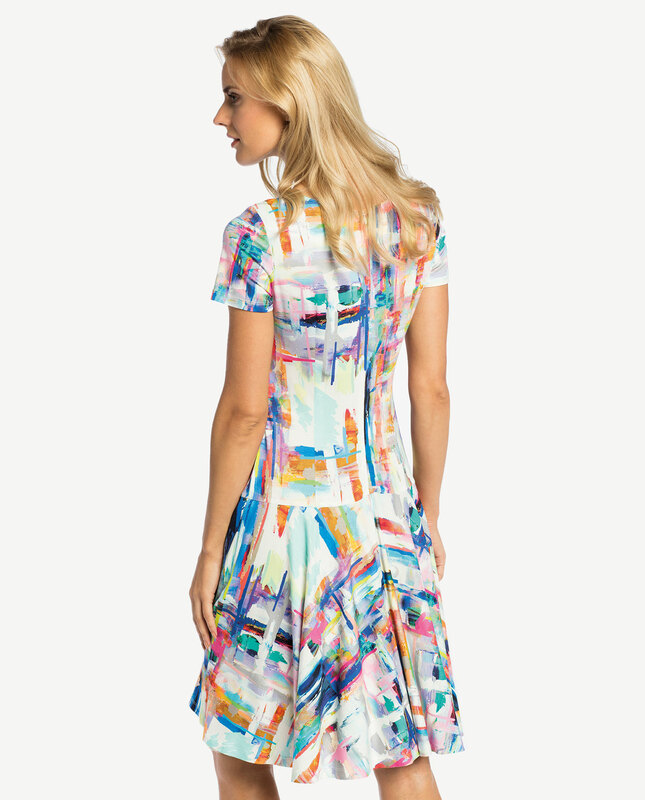 The dress looks lovely with flats or mid-heel pumps. Fastened with a concealed zip at the back.